Disruptions to critical supply chains are soaring with the economic recession. This presentation will outline the challenges organisations are facing and how business continuity management can offer a solution for greater supply chain resilience. 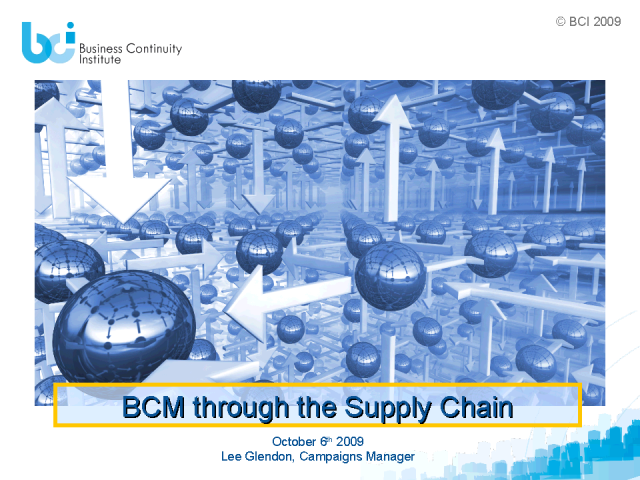 The presentation features new international research on best practice in applying BCM through the supply chain from over 200 organisations.